It’s not breaking news that Atlético Madrid’s season has been (very) underwhelming; ten points behind Barcelona in the race for the league, knocked out of Europe after one of the Colchoneros’ worst matches since Diego Simeone arrived in 2011, and ridiculed by Girona at home in the Round of 16 in the Copa del Rey, it has been, to put it mildly, a season to regret. But things don’t stop there; players are passing medicals with other teams midway through the season, coaching staff are having full-blown arguments with team members at half time, fans seem to be fed up with the lack of creative football demonstrated, and old methods just don’t seem to be working anymore. So, what’s next for Atlético Madrid? It was a matter of time before Lucas Hernandez’ transfer to Bayern was made official since news first broke in December about him seeking a move to the German side. Atleti just couldn’t match the €13 million in annual wages that Bayern decided to pay the French international–the best they could muster was a counter offer of €8 million per season, which was rejected in January. But it’s not just Lucas leaving. Filipe Luís and Diego Godín already have a foot and a half out of the Wanda Metropolitano. Filipe’s contract expires this summer, and neither club nor player seem to have even entered any negotiations to renew the left back after last summer’s ordeal, when PSG tried to scoop up the Brasilian towards the end of the transfer window, with the player personally asking to leave. A different but also similar situation is that of captain and legend, Diego Godín, who has already had his medical with Inter Milan and is set to sign his new contract this summer. After nine years at the club, it seems the Uruguayan will be putting an end to his days in red and white and will join the Nerazzurri on a 2+1 year deal. Juanfran and Stefan Savić also have two big question marks next to their names regarding next season. The right back will be 35 years old and clearly not the player he once was; and Savić, well, after his ‘bust-up’ with fitness coach Oscar Ortega during the match against Leganés, Simeone made it abundantly clear that he believes Ortega is “the best” and that if things can’t be worked out, then he will side with Ortega. That leaves only José María Giménez and Santiago Arias as the only sure first-team defenders in Atleti’s squad for the coming season, as well as 18-year-old Argentine defender Nehuén Pérez, who started to train with the first team in February after Atlético made his signing official last summer but he has not yet been given any minutes nor is his situation in the squad clear. Will he stay or be loaned out to a less demanding team to gain some experience in Europe before taking the step onto the big stage? This leaves Atletico with €80 million to sign, in theory, 4 or 5 defenders in the coming summer window. Two left backs, at least one proven center back, another young but promising defender and possibly a right back if Juanfran choses to not renew his contract. Alex Telles of Porto seems to be in Simeone’s plans for the coming season and now Algeria international Aïssa Mandi has also come into the picture after a very good season with Betis, but that still leaves two spots to be covered with over half the money already spent from Lucas’ transfer. As if this wasn’t enough of a problem for Atlético, Saúl has now been strongly linked with a move to Manchester City even though he signed a 10-year contract extension only two and a half seasons ago. Antoine Griezmann seems to have one eye back on Barcelona after the Turin fiasco. Diego Costa has been out for more than half the season with injuries, producing only one league goal when he has played. Thomas Partey isn’t happy with his playing time, Thomas Lemar hasn’t adapted to Simeone’s style of play, and Jan Oblak still hasn’t signed his new contract. So, what’s next? 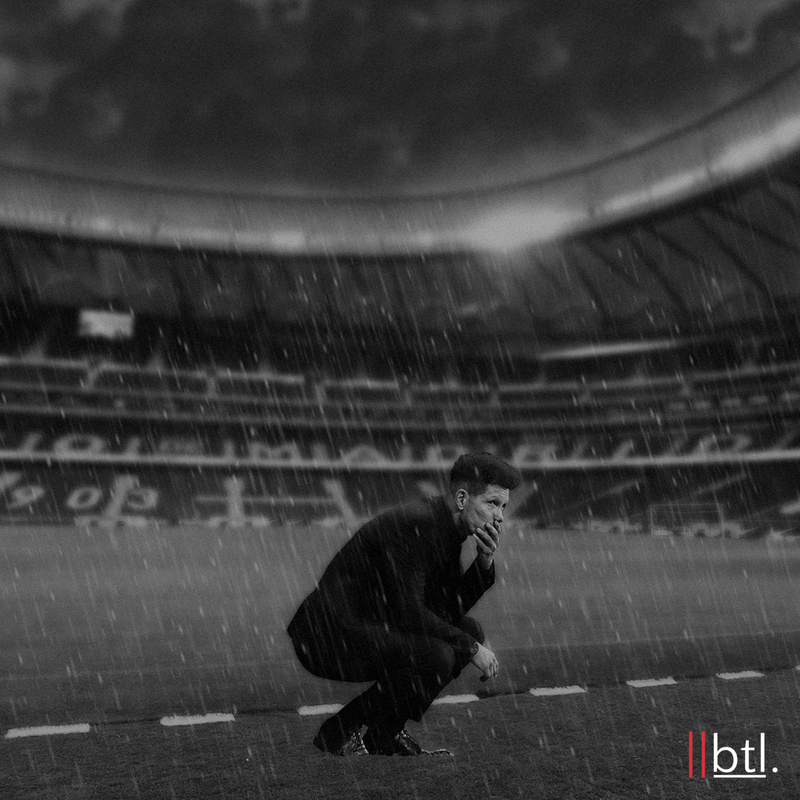 Nothing seems clear expect for this: when it rains at the Metropolitano, it pours. And no one has an umbrella. Will Simeone be able to weather this storm that’s brewing?